The 100% owned Renard Mine, Stornoway’s flagship asset, is located approximately 250 km north of the Cree community of Mistissini and 350 km north of Chibougamau in the James Bay region of north-central Québec. Construction began on July 10, 2014, following the completion of a C$946 million project financing transaction, the largest ever for a publicly listed diamond company. Now completed, the mine is the first diamond mine in Québec, and one of only six in Canada, employing approximately 500 people. The project benefits from a large and growing resource, good mining conditions, strong social acceptance, a modest environmental footprint, and the development of direct-to-mine road infrastructure. Now in commercial production, the mine is expected to produce an average of 1.6 million carats per year over an initial 14-year mine life, representing approximately 1% of global supply. First ore was delivered to the plant approximately 10 weeks ahead of schedule on July 15, 2016. Commercial production was declared on January 1, 2017. In an era of steadily growing diamond demand and decreasing supply, Renard is one of the best diamond mines in the world today. The Renard Project was constructed under the terms of the March 2012 Mecheshoo Agreement between Stornoway and the Cree Nation of Mistissini, the Grand Council of the Crees (Eeyou Istchee), the Cree Regional Authority, and the terms of the July 2012 Partnership Agreements with the communities of Chibougamau and Chapais. The Mecheshoo Agreement provides training, employment and business opportunities for Crees during project construction, operation and closure, as well as setting out social, cultural and environmental principles under which the mine will be managed and respected. The Mecheshoo Agreement also includes a mechanism by which the Cree parties will financially benefit from the success of the project on a long-term basis, consistent with the mining industry’s best practices for engagement with First Nations communities. All major permits required for the construction period were obtained. 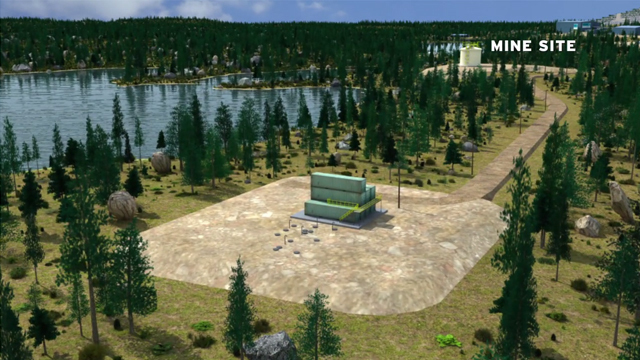 The Renard Diamond Project Mining Lease was issued by the Québec Ministère des Ressources naturelles in October 2012 and the Québec Certificate of Authorization was issued by the Ministère du Développement durable, de l’Environnement, de la Faune et des Parcs (“MDDEFP”) in December 2012. The Company received a positive Federal Environmental Assessment decision in July 2013. An important aspect of the Renard Mine was the Route 167 extension, allowing all-season access to Renard by way of the Chibougamau and Mistissini communities and which has been constructed under the auspices of Québec’s Plan Nord. Construction began in February of 2012, and was undertaken in four segments, “A” to “D”. Under the terms of a November 2012 Framework Agreement between Stornoway and the Government of Québec, Québec completed the first 143 km of road (segments “A” and “B”) as a 70 km/hr two-lane gravel highway and Stornoway undertook the construction of a 50 km/hr single-lane mining road over the remaining 97 km (segments “C” and “D”) as the “Renard Mine Road”. The cost of the Renard Mine Road was initially estimated at $77 million, including a 15% contingency. Under the terms of the December 2012 Financing Agreement between Stornoway and Québec, Stornoway’s road costs have been funded through a credit facility provided to Stornoway bearing a 3.35% interest rate, amortized over a 15-year period. All four segments of the road were connected in September 2013, two months ahead of schedule and 10% below budget. A first for diamond mines operating in Canada, year-round road access will allow Renard to be operated with significantly reduced costs and operating risk. The Renard Diamond Project was constructed under an Engineering, Procurement and Construction Management (“EPCM”) agreement between Stornoway and SNC-Lavalin Inc. SNC-Lavalin provided EPCM services for on-site utilities such as the liquefied natural gas power plant, the processing plant building, service buildings, water treatment facilities, and on-site infrastructure. 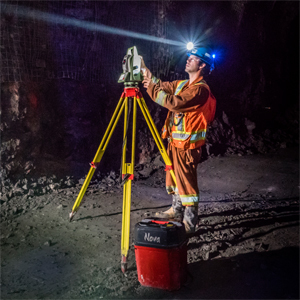 The agreement with SNC-Lavalin contemplated sub-contracted services to be provided by AMEC Americas Ltd. and DRA Americas Inc. for certain specialized engineering and field support services relating to the project’s diamond processing plant and diamond recovery circuits. The total capital cost of site facilities and infrastructure within the scope of the EPCM contract was estimated at approximately C$425 million. Construction under the balance of the project’s C$811 million capital cost was managed by Stornoway’s corporate team based in Longueuil, Québec. In February 2016, management re-baselined the cost and schedule of the project, resulting in a $36 million decrease in capital cost for the project to $775 million and a 5 month improvement in the scheduled date of commercial production to December 31, 2016. LONGUEUIL, Québec, April 17, 2019 (GLOBE NEWSWIRE) - Stornoway Diamond Corporation (TSX-SWY) (the “Corporation” or “Stornoway”) announces the appointment of Mr. Dino Rambidis as Chief Financial Officer of Stornoway, effective immediately, replacing Mr. Orin Baranowsky, who has decided to step down from his current role. Mr. Baranowsky will remain with the company up to the end of May 2019 to ensure an orderly transition and will provide support to Mr. Rambidis. In addition, Stornoway is pleased to also announce the promotion of Ms. Annie Torkia Lagacé as Executive Vice-President, Corporate Development, Legal Affairs and Corporate Secretary.